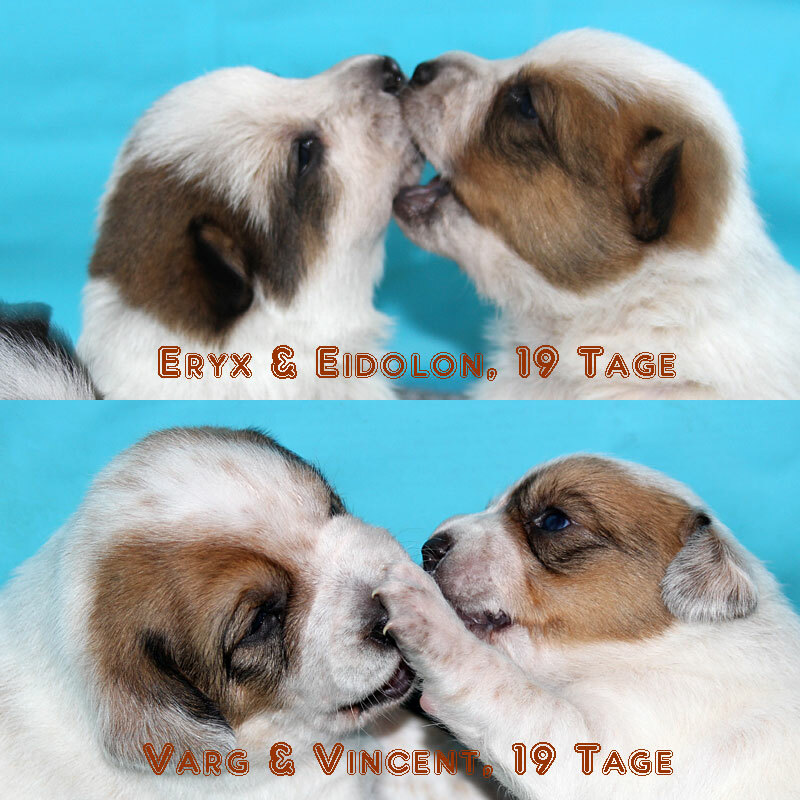 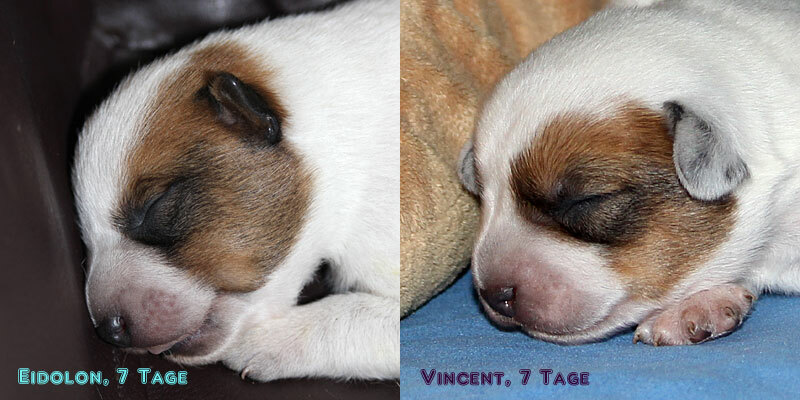 During the night and early morning of 13.december 2018 my first litter of Versatile Hounds was born. 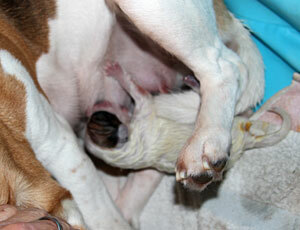 Yoshimi gave birth to two boys and one girl, all mainly white with patches on the spine and on the face. 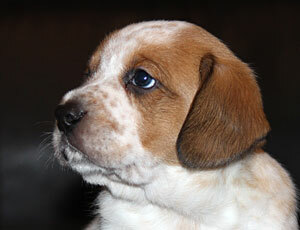 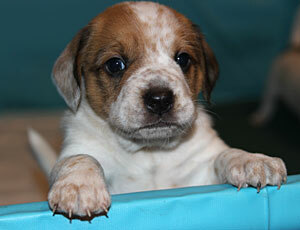 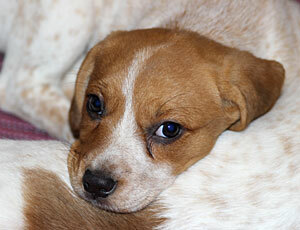 All three are sable coloured, aka red in cattle dog lingo. 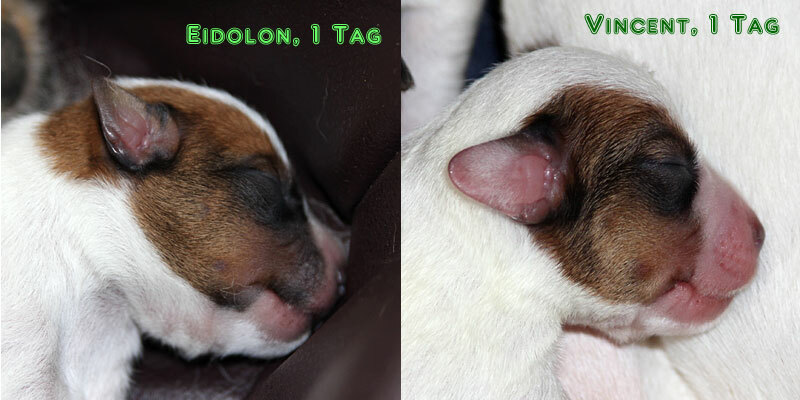 They are developing well and putting on weight right from day 1. 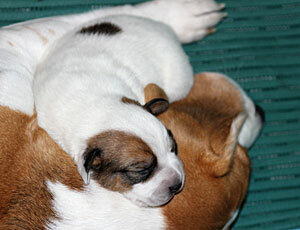 This is their pedigree. 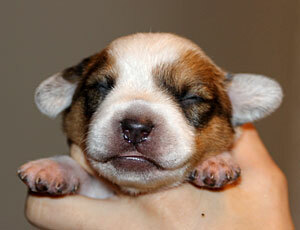 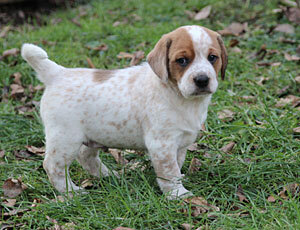 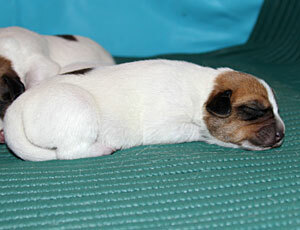 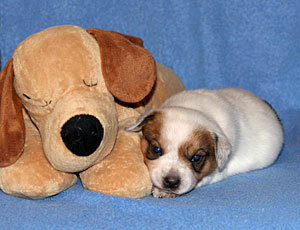 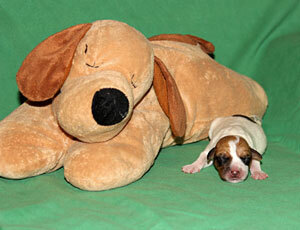 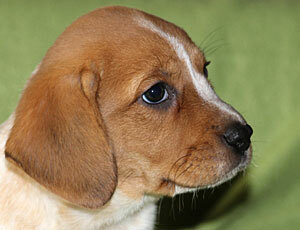 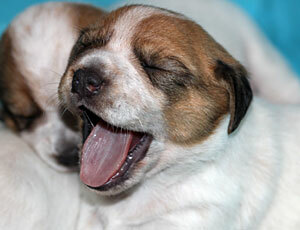 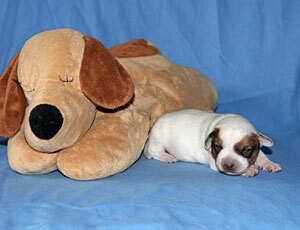 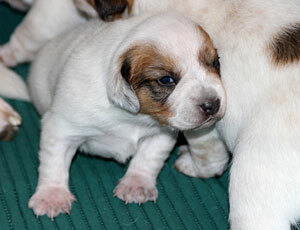 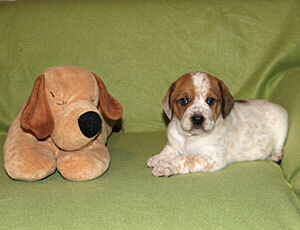 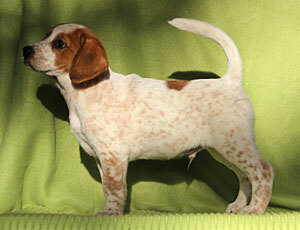 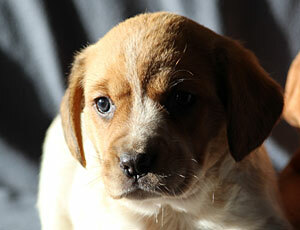 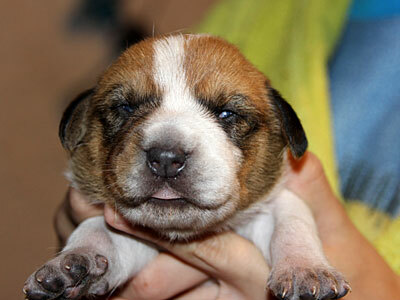 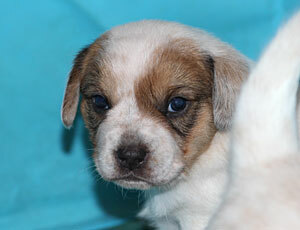 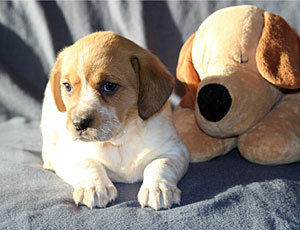 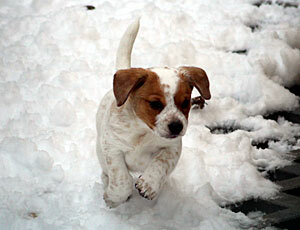 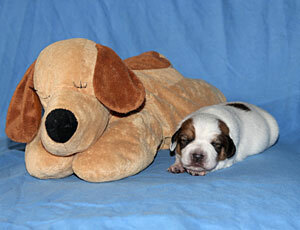 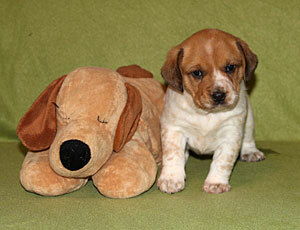 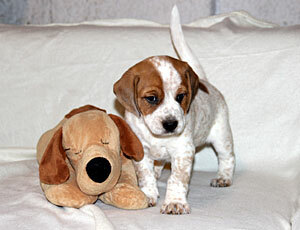 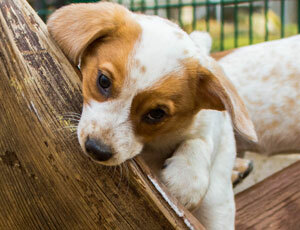 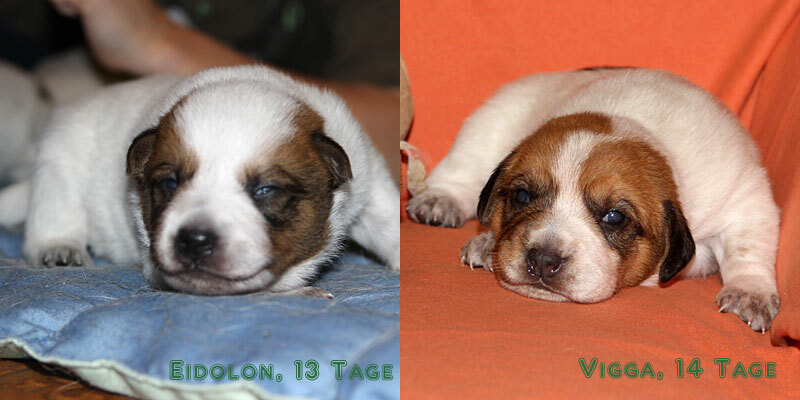 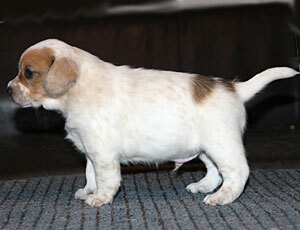 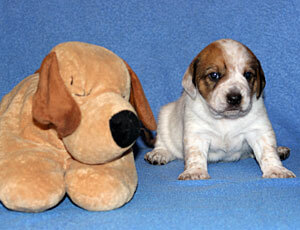 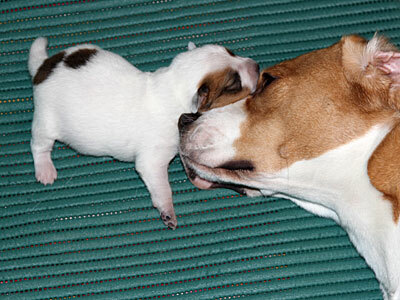 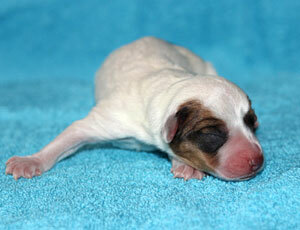 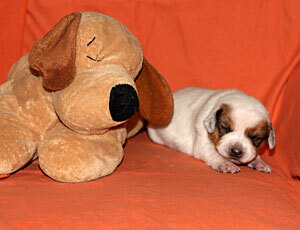 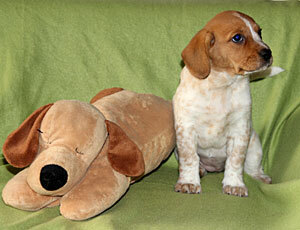 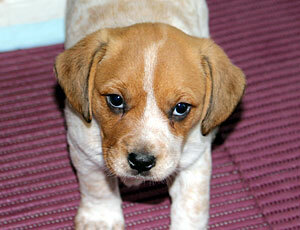 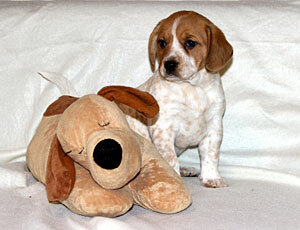 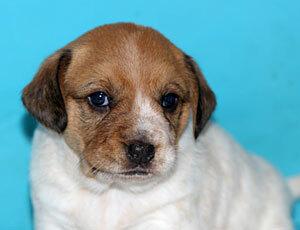 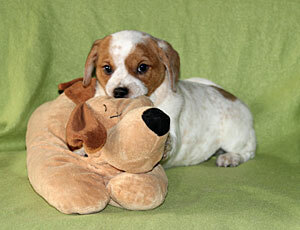 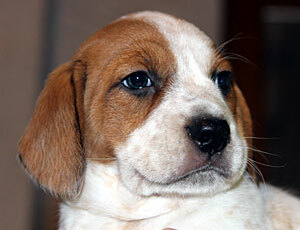 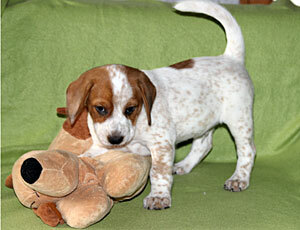 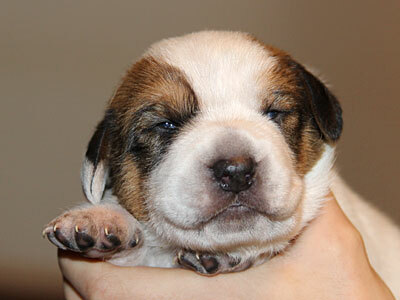 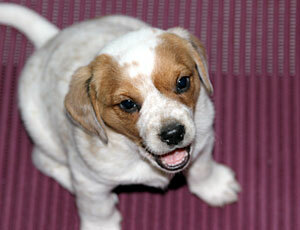 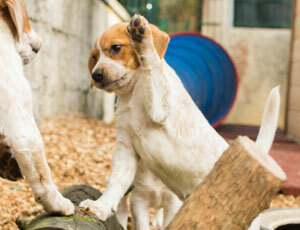 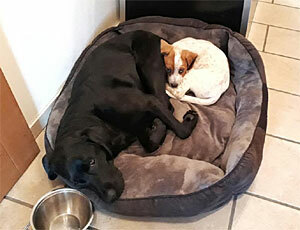 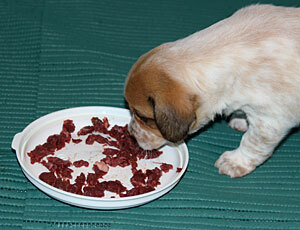 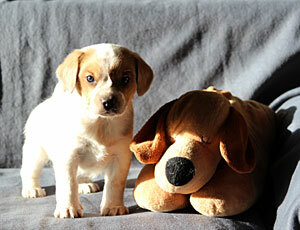 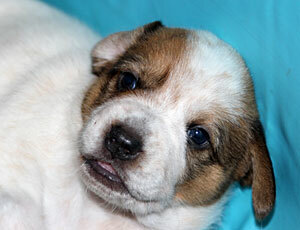 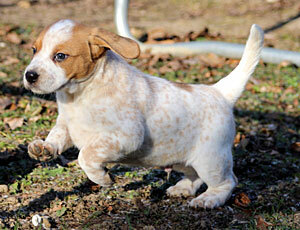 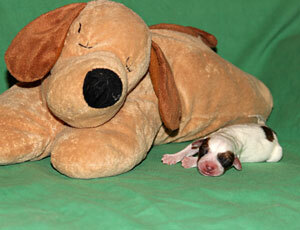 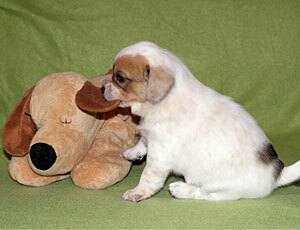 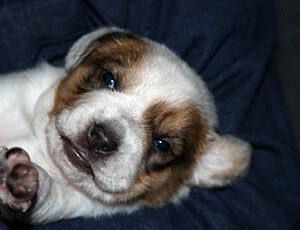 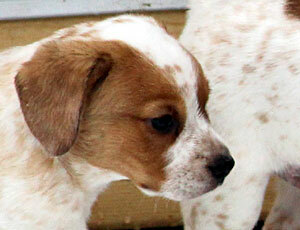 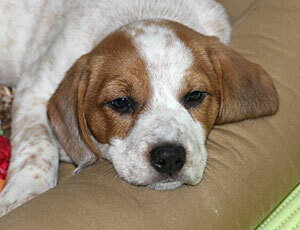 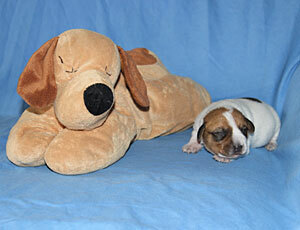 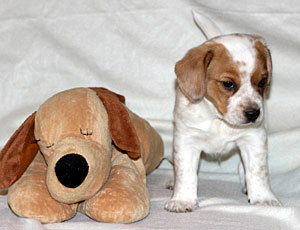 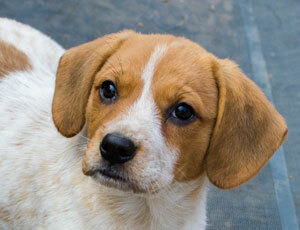 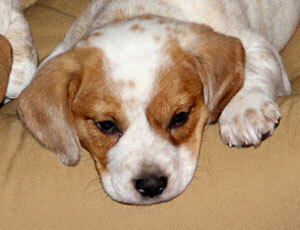 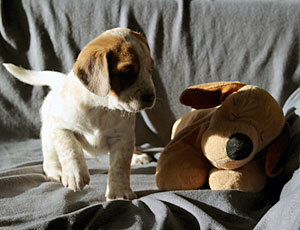 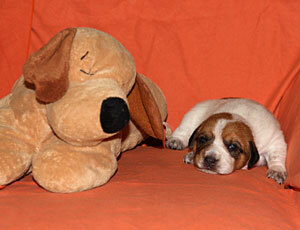 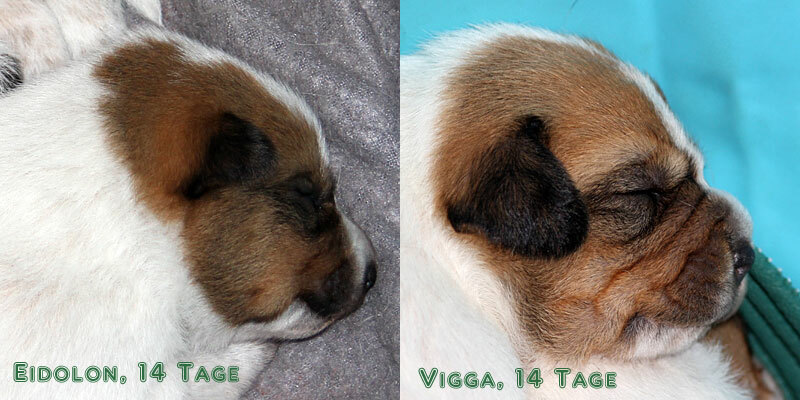 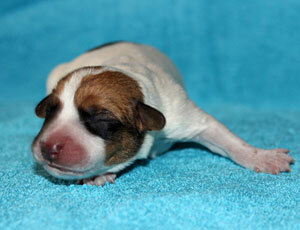 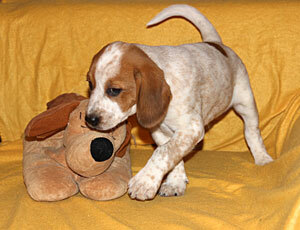 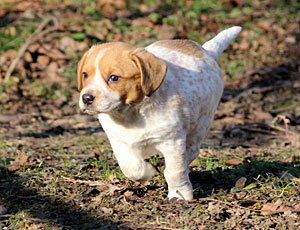 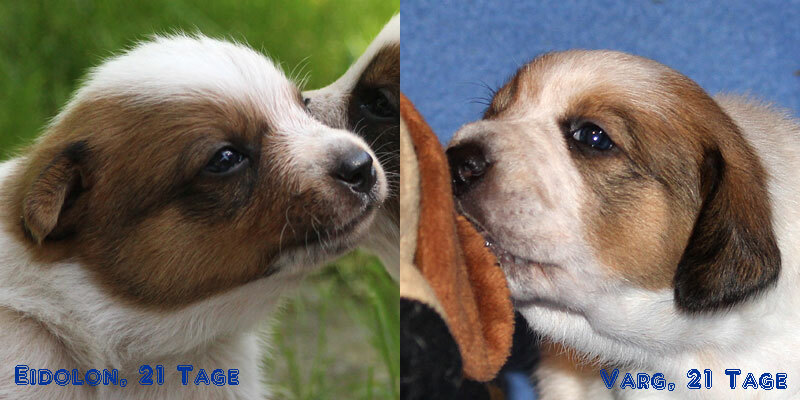 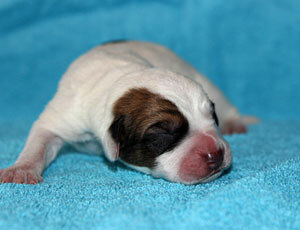 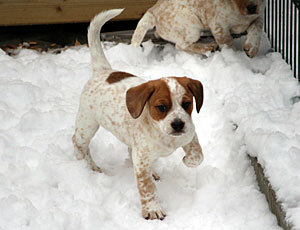 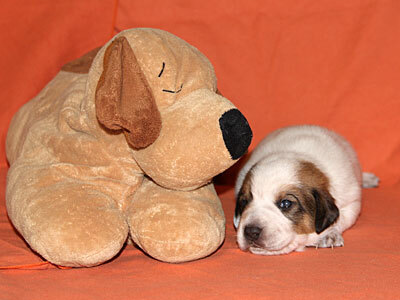 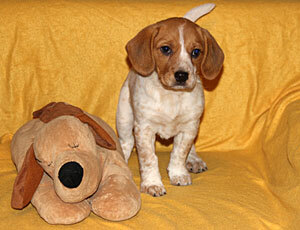 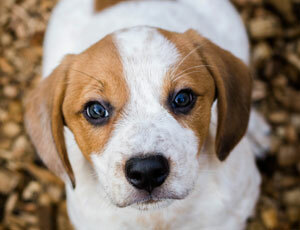 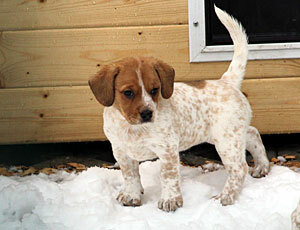 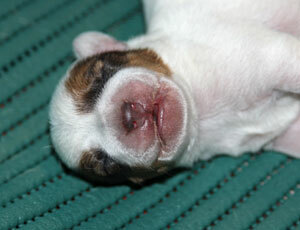 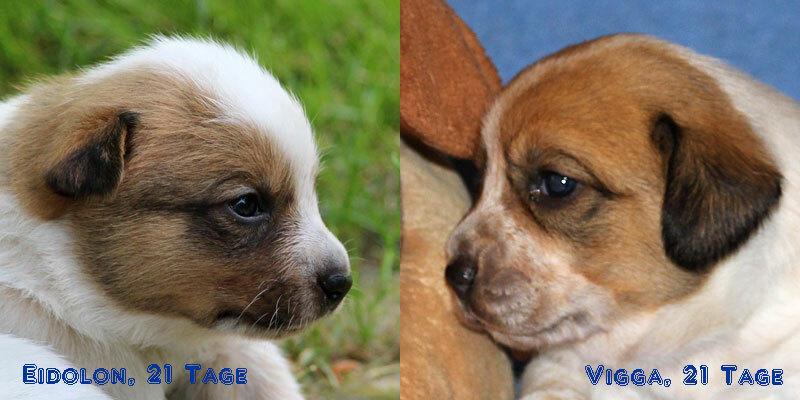 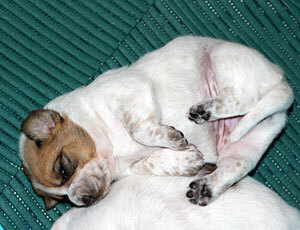 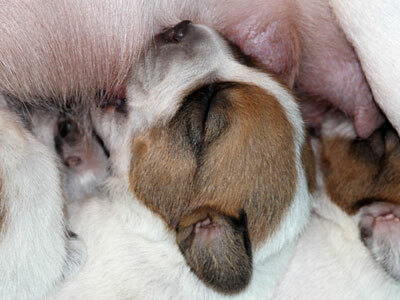 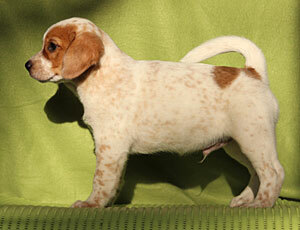 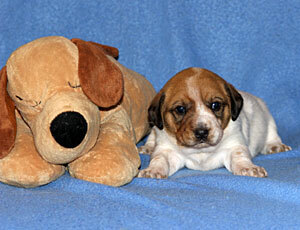 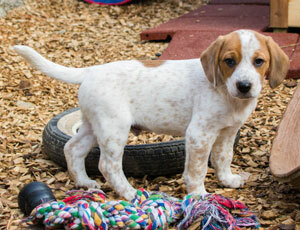 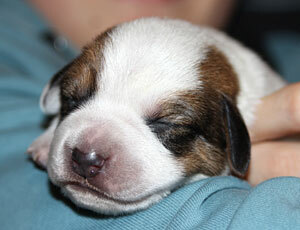 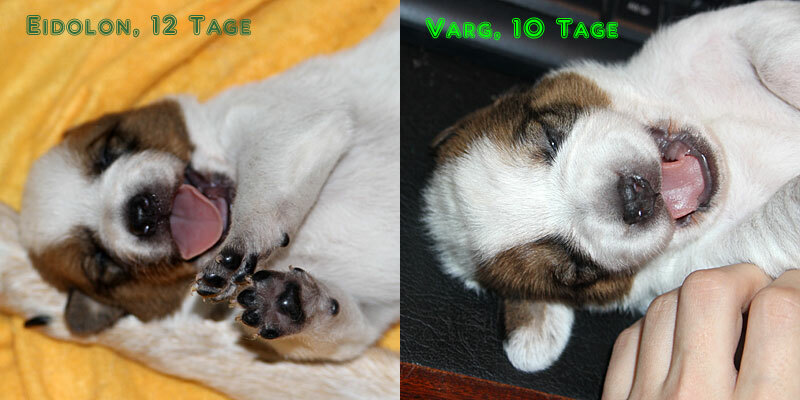 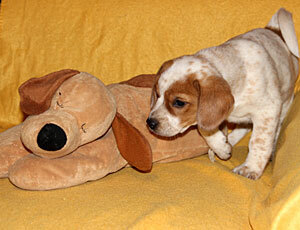 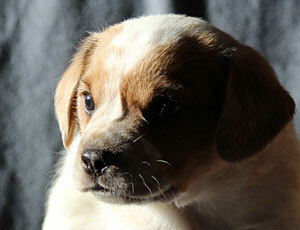 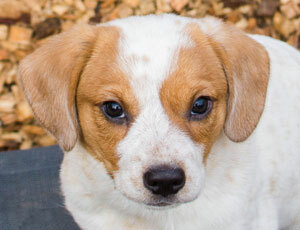 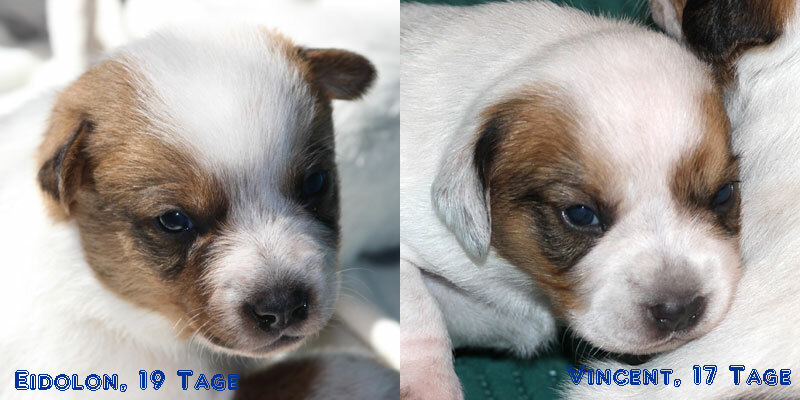 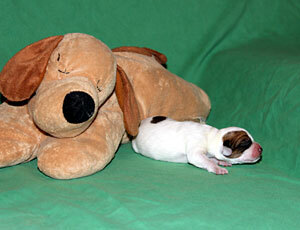 At the age of 9 weeks all pups are dewormed, vaccinated and microchipped. 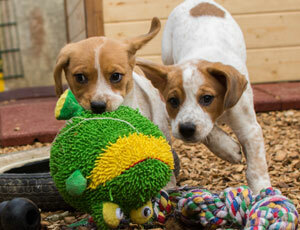 They know how to walk on a leash and know car travels. 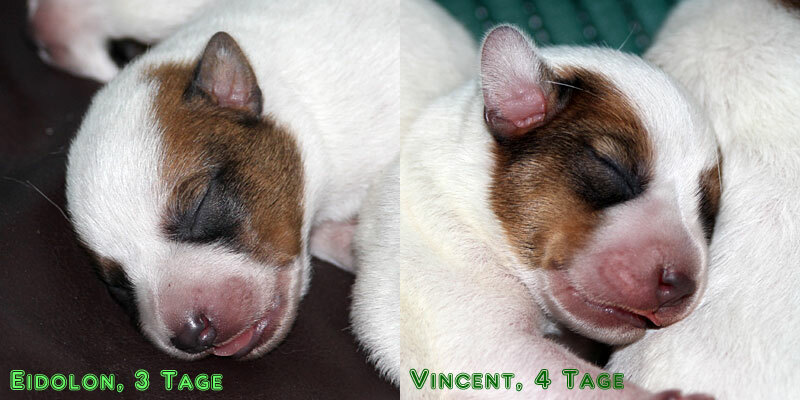 All are healthy and without any impairment, all have correct bites and testicles are down in the males. 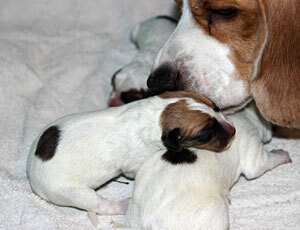 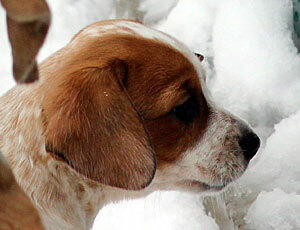 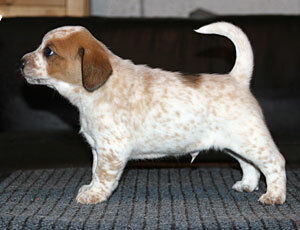 I am very pleased with their tpye, they look entirely beaglish but without the excess of loose skin. 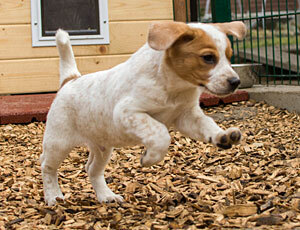 Their faces stay in place even if gravity and centrifugal force works on them during jumping and running. 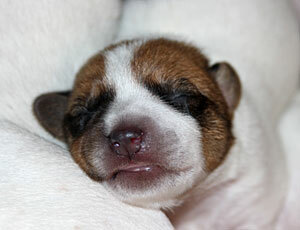 Their lips are tight as are their eyelids. 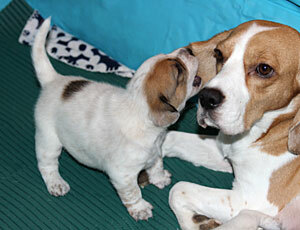 Ears have moderate size and nice earset. 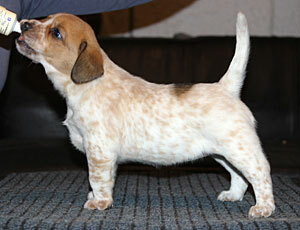 They have good but not overdone angulations front and rear and a good forechest. 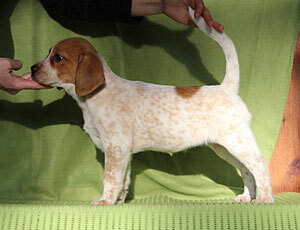 It paied off to use a male with dry skin and without any exaggerations whatsoever instead of a hound type dog with more loose skin.